24 cm of textual records. The Waterloo Lutheran University Graduate School of Social Work was founded in 1966 with a curriculum based on clinical practice as well as community organization practice. Students specialized in one of five concentrations: community development, social planning, social administration, research, or individuals, families and social groups. The first class graduated in 1968, the same year that the Graduate School of Social Work was accredited by the Council on Social Work Education. In 1974, the name of the program was changed to the Faculty of Social Work to reflect the expansion into part-time, continuing education and undergraduate social welfare courses (offered in the Faculty of Arts and Science). In 1981, the Faculty of Social Work created an undergraduate Social Welfare Option, considered to be a minor. The Doctor of Social Work program was established in 1987, making it the first doctoral program at Wilfrid Laurier University. By 1988 the Faculty had moved from the seminary to the Peters building and then to the Aird building before moving to the St. Jerome’s Duke Street building in 2006. This Laurier Kitchener campus was a 12 million dollar conversion from historic landmark to professional school. 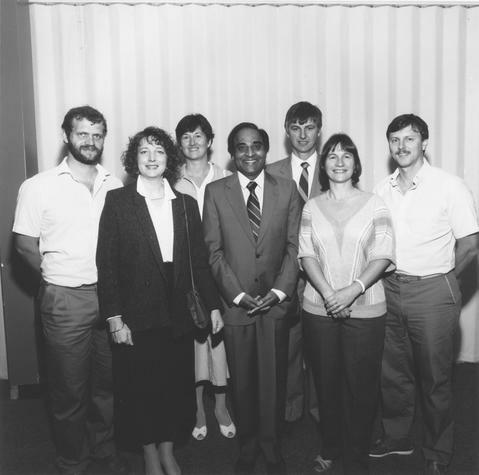 The first Dean of the Faculty of Social Work was Sheldon L. Rahn (1966-1968), followed by Francis J. Turner (1969-1979), Sherman Merle (1980-1983), Shankar A. Yelaja (1983-1993), Jonnah Hurn Mather (1994-2001), Luke J. Fusco (2001-2006), Leslie Cooper (2006-2009), and Nicholas Coady (2011-).